I can't believe it was early February when we last dined here so we are well overdue for another visit. 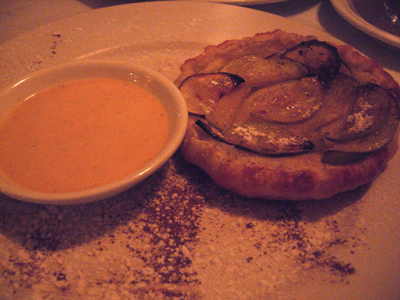 The restaurant is quite dimly lit so the photos are very grainy. 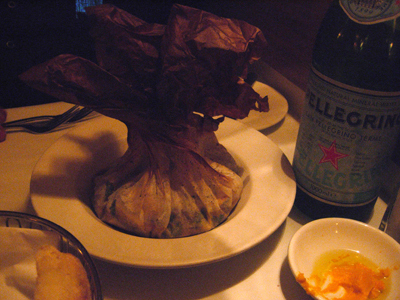 Paalo has the Fungi di Bosco al Cartoccio - Sauteed forest mushrooms wrapped in parchment. 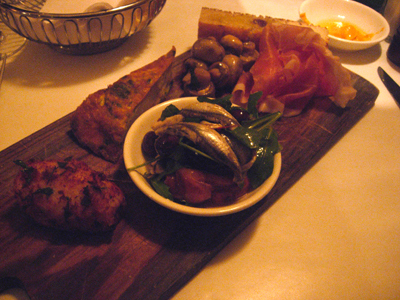 A wonderful dish, the aromas perfectly captured by the parchment package. 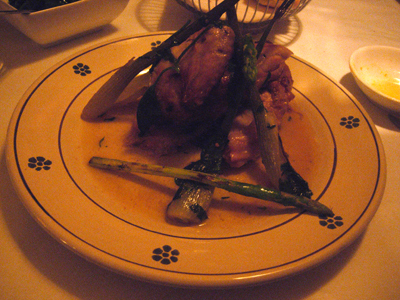 I have the Galletto con Finocchio e Asparagi - Pan roasted spatchcock with fennel and asparagus. 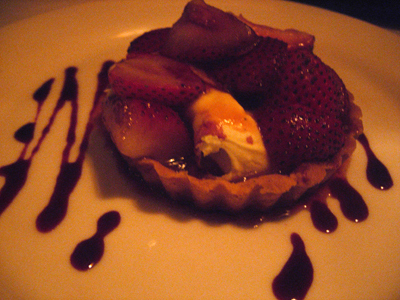 Paalo has the Crostata di fragola e mascarpone - caramelised strawberry and mascarpone tart with red wine syrup. 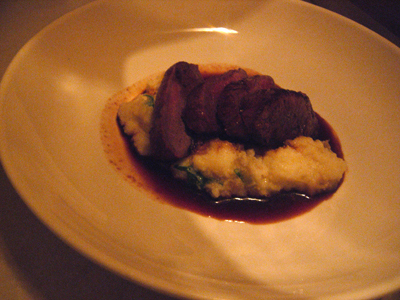 Even with the restaurant fully booked, the service and atmosphere was much improved from our last visit.